as well as a lot of new products and innovations. together we can look back on a great and eventful year 2018. The end of the year is the time to stop and say Thank you! Thank you for the great cooperation! Thank you for the esteemed orders! Thank you for you loyalty and trust! We wish you a happy Christmas Season, time to relax, reflection on the really important things and many bright spots in the coming year! 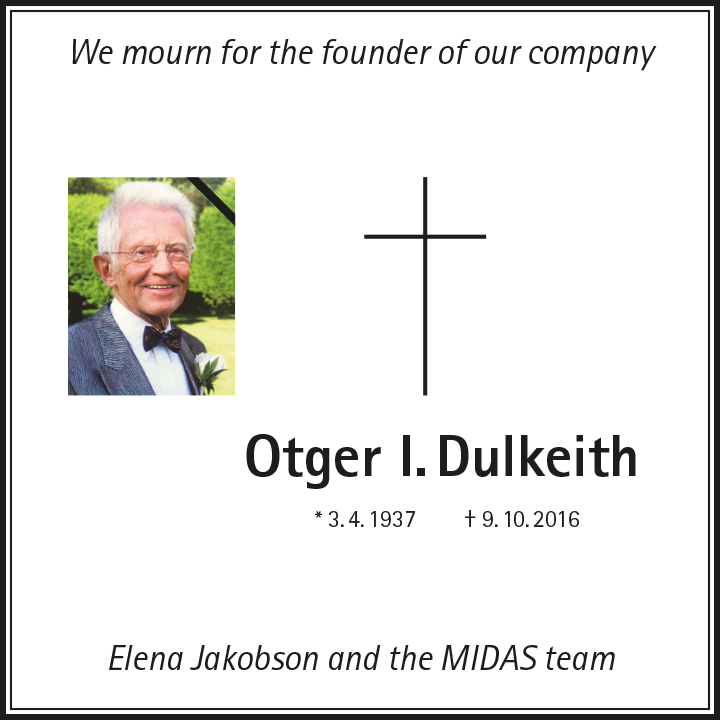 1 July 2017: MIDAS Pool Products has been offering a comprehensive range of pool technology under the management of Elena Jakobson for 10 years. The success story began after the move from Wolfratshausen near Munich in Neuhof and it continued in the new company building in Eichenzell near Fulda. Elena Jakobson is glad about a healthy growth in the past 10 years. Through constant further development, MIDAS has positioned itself as a highly competent partner in pool construction – and not just in Germany – MIDAS supplies customers in over 90 countries worldwide. We would like to thank our customers for the good and confidential cooperation. We will continue to serve you as a competent and powerful partner. We look forward to an exciting future with you! If you receive a delivery with a transport damage, we regulate the transport damage immediately for you. Simply use our returns form or our transportdamage form. Please click on the appropriate link. Aside from the standard Quality products you can find some new products in our delivery program: our heat pump MIDA.Silver in noble silver look, the award-winning fully automatic backwash valve, comfortable salt electrolysis systems and as the perfect complement a wide choiice of powerful pumps. The MIDAS-team will advise you personally and responds to questions and suggestions always ready. We look forward to a sunny and successful season with you!